Finally, it happened. Touchscreen Controllers, powerful graphics, new design. 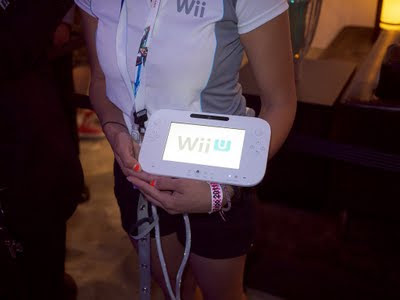 The Wii U has some unbelievable changes to the current Wii. The original Wii revolutionized the way we play. The motion-sensitive controllers where much laughed about, and now every platform can't live without having such controllers. Some of them made lousy copies, some of them made improvement. But Nintendo now adds something even more revolutionizing again. Every controller is now a tablet-like device. A controller with a full touchscreen. Will Nintendo again be successful with this unconventional input method? Imagine games like on the DSi, but on the big screen. With drawing. Or games where your finger is more effective than a mouse, like games for smartphones. Now combine normal controllers, motion and touchscreen, and you got the standard controller. See? We talk so much about the controller already, and not the console. It will be compatible to old Wii-Games. So you're precious and expensive games will still work on the Wii U. It will connect to your TV via HDMI, too and shows 1080p. No fireworks of tech specs?